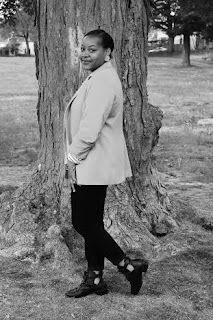 You’re probably thinking another day, another trend...Wrong! The great thing about any trend is the fact it tends to be the most talked about topic people can’t stop talking about. Yes, for most trends the hype eventually dies down; but sometimes it is nice to be able to take part in the discussion. The latest beauty is trend is so cool that of course, we had to share it with you guys! 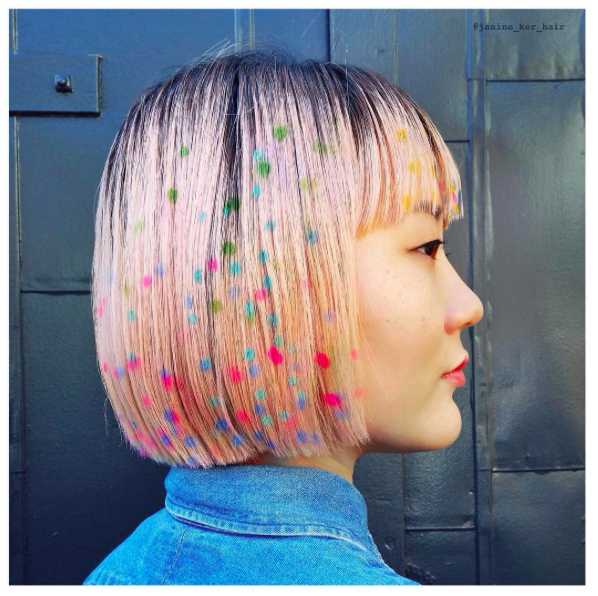 Hairstylist and artist Janine Ker uses stencils to paint detailed and colorful designs on her clients’ hair. 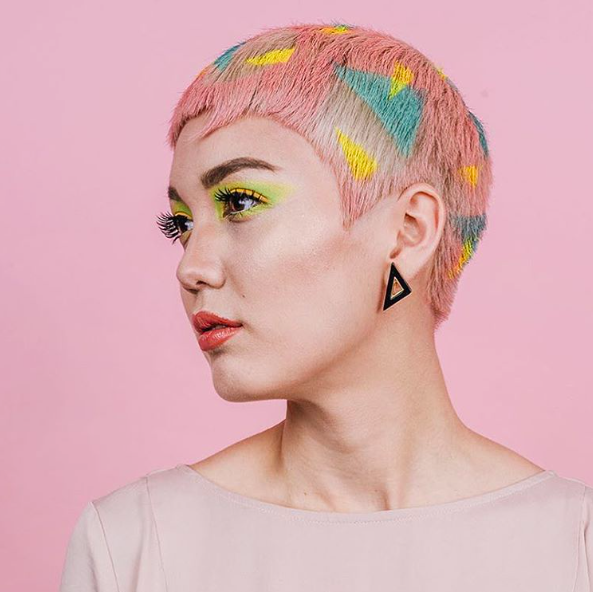 As reported on Teen Vogue, this incredible woman first draws sketches to inspire her designs using Sharpies and colored pencils on a canvas for the full effect, before turning them into real-life hair masterpieces. I’m sure you’re probably wondering how she got into hair-stenciling, right? Well, she actually started out by posting images of her creations on her Instagram, which quickly became an endless thread of major summer hair-color inspiration. Although it looks like she uses actual dye, you can also get a similar but temporary look using colored hairspray. The work that Ker does is not only amazing as a cool way to rock your hair but it looks like a dope piece of art as well. 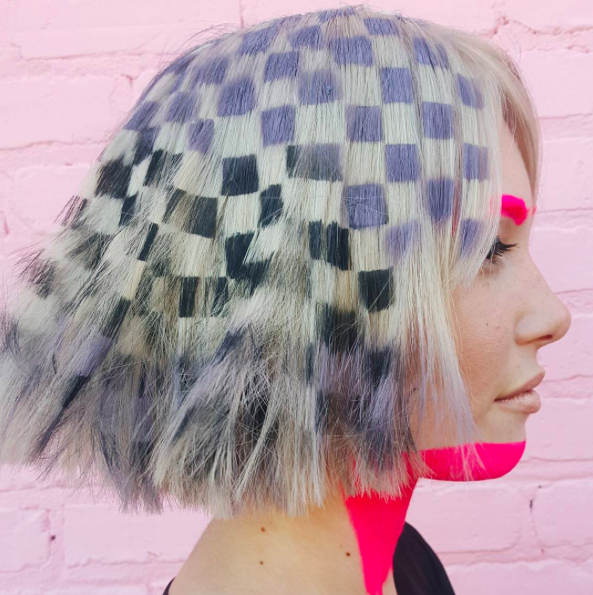 Would you rock the hair-stencil trend? Let us know, why or why not in the comment section!